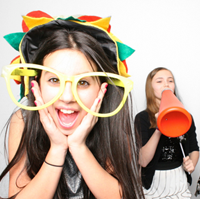 The guests really loved the Photo Booth. They kept going back to take more photos with all of your props. We’ve really enjoyed viewing the photos our guests took in your online system. We never could have gotten such great photos with just a regular camera. Thanks Timeless Memories Photo Booths! Our students enjoyed the photo booth! We’ll be seeing you next year. Wow! Everyone had a blast. Thank you for the fun. 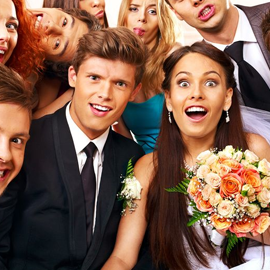 I have only heard good things and no complaints about your photo booth services! The price was great and it was beyond my expectations. Our reception hall was sort of split into two rooms, I was in the main/dance room most of the time so I did not see how much the photo booth was used. I was afraid people weren’t using it… Once I received the photo booth strip book at the end of the night and I WAS WRONG! It was completely full and obviously people loved it… I think I am the only one who didn’t get to use it enough. There’s a reason we continue to have you at our work parties. Thank you for making them fun and providing great props and fun. We’re so happy we went with your services. We didn’t get a cheap photo booth experience but a real photo booth and a photo booth attendant to go with it. Our guests had so much fun in the photo booth. We loved your guest book and the experience your photo booth person provided. 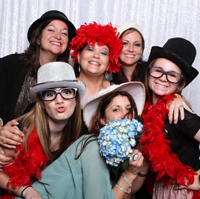 Our employees had a blast with the photo booth as the night went on. Coupling this with our bowling employee appreciation party was perfect. Our members enjoyed having this at our mixer event. Thank you for all of your help! 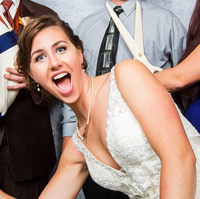 We really enjoyed the photo booth at our wedding. We wish you luck and are grateful we had you at our event. 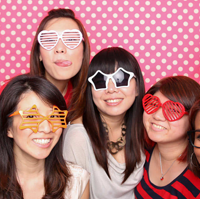 Our employees enjoy having your photo booth here every year. THank you for making it great! The DJ was the only person at our event that didn’t like the booth because everybody was enamored with it. 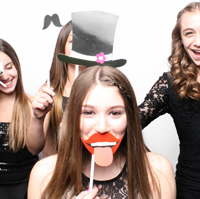 If you wanna have fun at your event then hire Timeless Memories Photo Booth! We loved having your photo booths back for our UW Athletics event. Going with you was easy because you were able to accommodate all of our guests in a very short time. 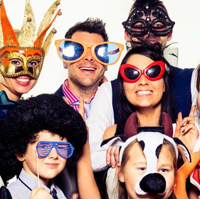 Having the ability to have two photo booths being ran at the same time shows us you know what you are doing with Photo Booths at events. See you next year! Our wedding day was great with having your photo booth available to our guests. They absolutely loved it and we’ll cherish the memories book you all made for us. We enjoyed having the photo booth for our guests. 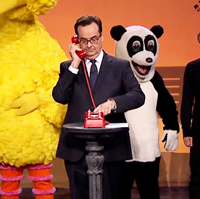 They loved leaving us video messages and also all of your fun props. 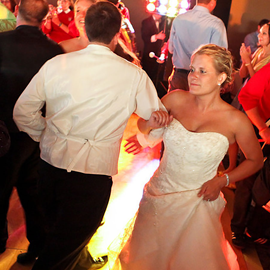 There’s no doubt this was a big hit and helped make our wedding reception a success. 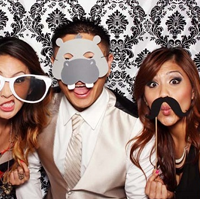 We coupled your photo booth services with DJ Magic Entertainment. Our guests loved every second. We will cherish our photos and time we had that wonderful and special day. So glad you were there! Thank you for giving our guests such a great photo booth attendant. We loved having you at our wedding. Good luck with everything! Our guests had too much fun in the booth, hence my email about not posting any “too special” photos in our online gallery. Thank you for working with us to provide one of the best parts of our wedding. The photo booth was a hit! Our guests loved it! You guys were amazing! 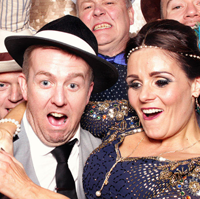 All of our guests had such a good time using the photo booth! The book of all the photo strips was so much fun to look at! The attendant was very kind and did a great job with all of our guests! Thank you so much! Our company enjoyed having you at our Zoo event. You made an incredible day even more fun. Thank you so much! Thank you for helping make our wedding great! 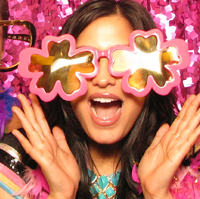 We and our guests loved every second in your photo booth. WOW! 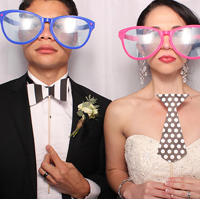 Thank you for providing hilarious props and an awesome photo booth attendant. We had lines at the photo booth all night and definitely got our moneys worth. We loved the photo booth. Thank you for helping us at our wedding. There’s no doubt our guests loved it. 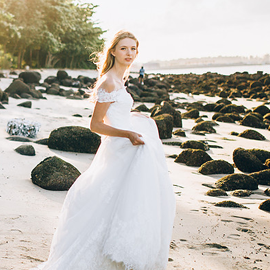 Thank you for playing an active role in our wedding. From the super hero theme to fun in the photo booth it was an amazing day. Thank you for being a part of our fundraiser for Jachin. We’ll see you next year. Everything was perfect. Thank you for your help. It was a special day for us. You guys definitely contributed to everyone’s overall enjoyment. 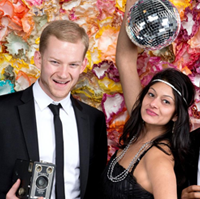 Our wedding was so special having you and your photo booth and videography crew at our event. Because of you we were able to capture it in so many ways and for that we are thankful. Thank you for being an important part of our wedding reception. 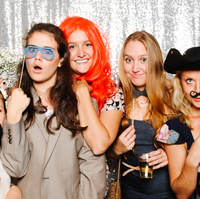 We really enjoyed the photo booth as much as our guests. 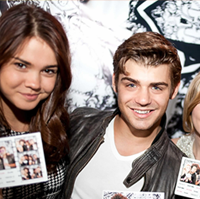 I loved the photo booth, just wish we could have spent more time in it as it was always busy. 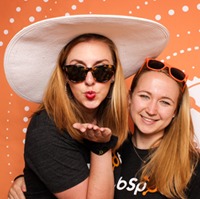 Our second year hiring you guys and we’ve loved our fun in the photo booth again this year. Thank you!